I tend to like making complicated creations, even though they aren’t very popular with people who work, have kids, or have a life. But today I made something easy. Easy and unspeakably delicious, if I do say so myself! I gave some to my guinea pig neighbor, Pam and she called them Chocolate Raisin Puffs because they were so light. I don’t know if they qualify as “puffs”, but it was a very nice compliment. 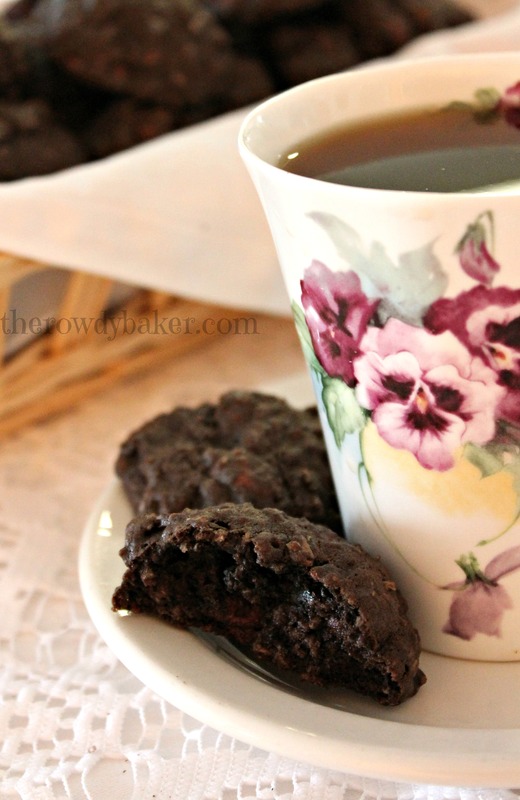 These chocolate oatmeal cookies are made with espresso powder and chocolate covered raisins, and when baked for precisely twelve minutes, have a slightly crispy outer layer (like the edge of a brownie) and are very tender inside. Seriously, I’d rather have these than brownies any day! I made some in a silicone mini-heart pan, and they popped right out in a very cooperative manner. They may not be the prettiest cookies I’ve ever made, but in this case I truly believe it’s what’s inside that counts. Makes 36 average cookies, or 72 small heart-shaped cookies using a 24-cavity silicone heart mold. These cookies are SO addictive, you may want to double the batch. If you are making drop cookies, line 2 baking sheets with parchment paper. 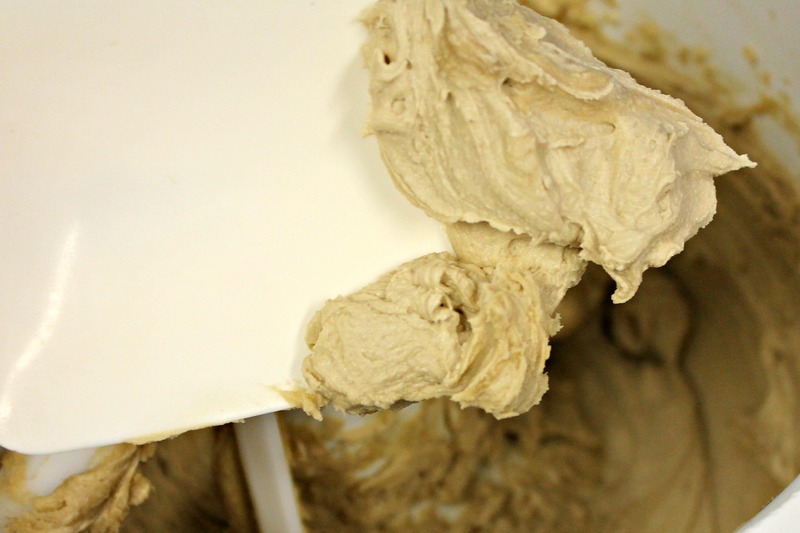 In a large bowl, beat together the butter and brown sugar until light and creamy - at least 2 minutes. Add the eggs and beat 2 minutes. Scrape the bowl often. 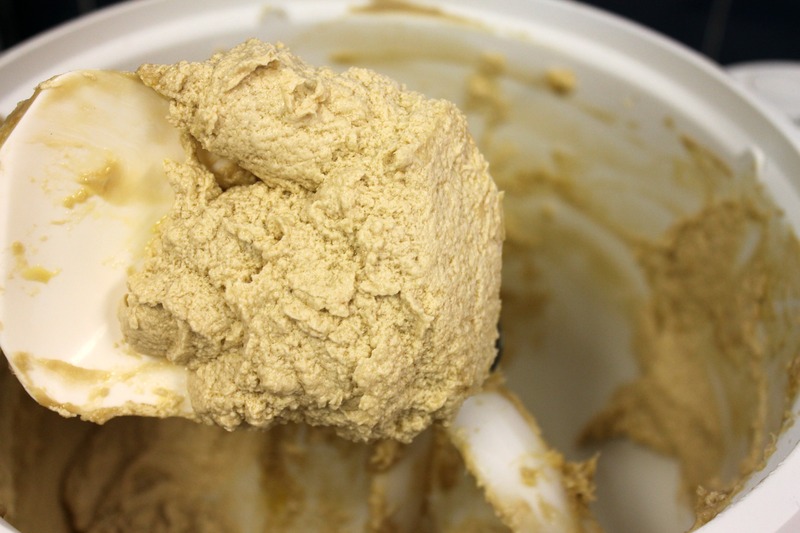 It will lighten in color and look just a little curdled; that's fine! 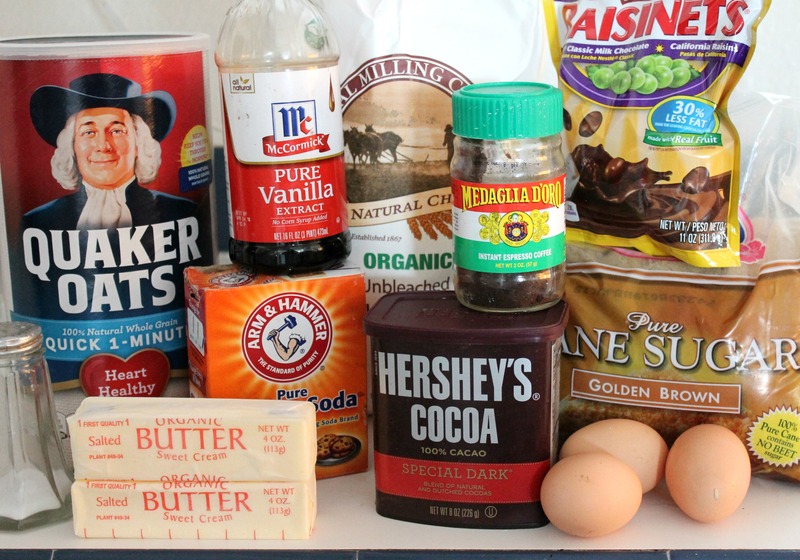 Add the vanilla, espresso powder, cocoa, flour, salt, and baking soda. On low speed (cover the bowl if possible, or stir by hand first to avoid a mess) mix together until well blended. Stir in the oatmeal and chocolate covered raisins. Bake for 12 minutes. Move baking sheet or silicone mold to a cooling rack and allow the cookies to cool. Cookies may be moved to the rack when barely warm. 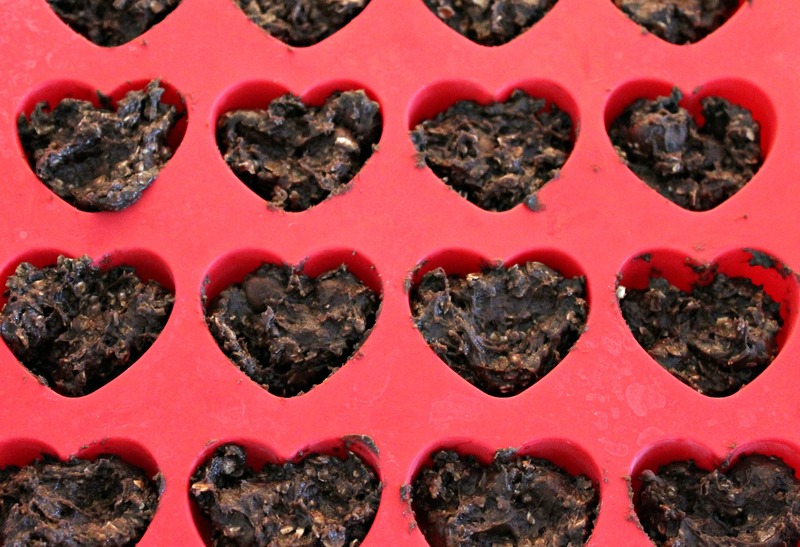 If you are making hearts, let them cool completely in the pan before turning them out. Beat the butter and brown sugar well. After the eggs are beaten in. It looks a little curdled, but that’s okay! 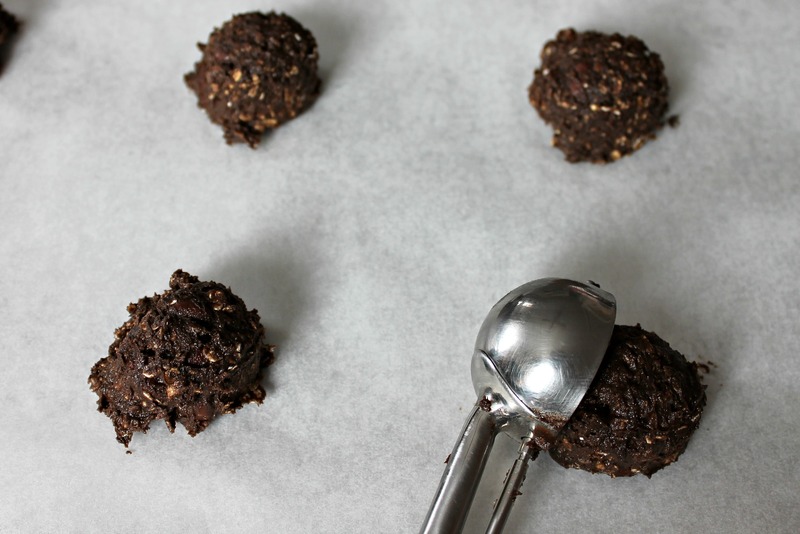 Scoop for regular drop cookies. See? Easy peasy. Don’t expect that from me too often, but when a chocolate craving hits, I realize the wisdom of being able to make cookies quickly! 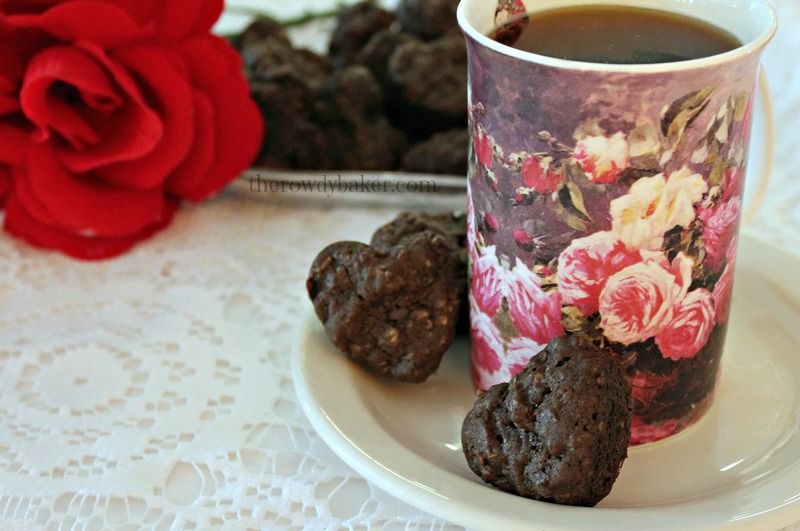 If I’ve lulled you into a false sense of security with this simple cookie recipe, you’d better be prepared; I have Valentine petits fours on my mind…coming soon! 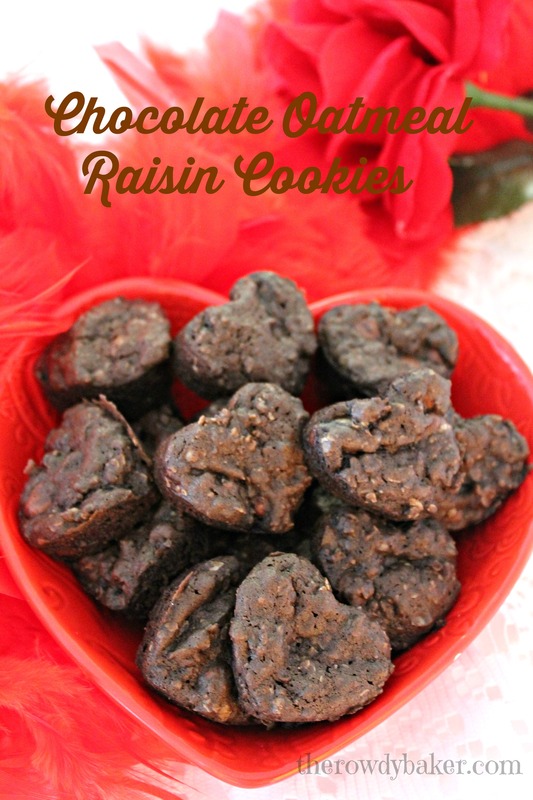 This entry was posted in cookies, Holidays and tagged chocolate oatmeal cookies, Chocolate oatmeal raisin cookies, Easy chocolate oatmeal cookies, heart shaped chocolate cookies, heart shaped oatmeal cookies, Oatmeal cookies with chocolate covered raisins, Valentines Day cookies by Lorinda. Bookmark the permalink. Genius. I don’t have anything else to say about these. Hahaha….you would if you made them. I’m so excited about them for some reason. I hear you doing the Meg Ryan scene from “When Harry Met Sally”. I made these recently and they are just as good as you promise! I made them extra large, so put ice cream between some of them. Extra delish! Why didn’t I think of that? What a great idea. Mmmm.